Alagaapuram R Mohanraj, contesting from Chennai North Parliamentary constituency on a DMDK ticket, is optimistic: he feels all is well in the constituency. With barely six days left for the constituency to vote in the Lok Sabha elections, Mohanraj is on the streets for more than 13 hours a day, and the success of schemes implemented by former Chief Minister J Jayalalithaa and Prime Minister Narendra Modi are a frequent refrain in his campaign speeches. 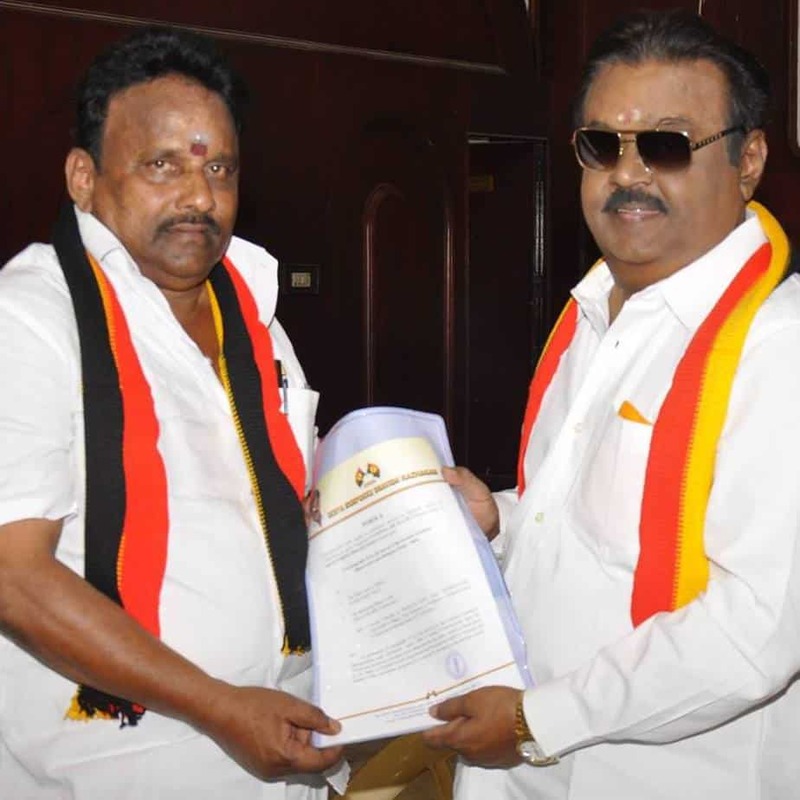 The DMDK is part of the mega alliance with parties such as AIADMK, BJP and PMK. In a freewheeling interview, Mohanraj, a former Salem MLA, makes tall promises for the Chennai North constituency, and expresses confidence that the mega alliance will help him win. How would you assess Chennai North as a constituency? 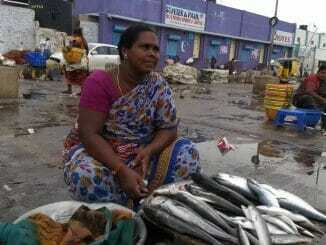 Chennai North is densely populated with workers, fishermen and downtrodden people. Basic amenities and infrastructure facilities are the need of the hour. There is development in the constituency, but it is not sufficient. Water scarcity, unemployment and sewage water contamination are key issues in the constituency. How do you plan to solve these problems? 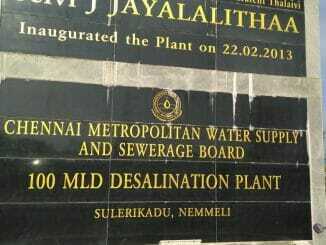 I will set up a desalination plant in Chennai North constituency. It is a feasible project since it is close to the sea and all we need is around 8 acres of land. I will also ensure jobs for 20 percent of the population in the constituency. We already have two desalination plants. The set up and operation of these plants is a costly affair and critics also say that it takes a toll on the environment. Would you still recommend the same? It is a wrong notion. There are private companies that supply water for just seven paise per litre. No chemicals are used in converting the sea water to potable water. When we allow hazardous chemical plants, why not a desalination plant that quenches people’s thirst? The constituency has a sizeable fisherfolk population. What do you aim to do for them? Their job is strenuous. Fishermen go into the deep sea and return once they get the catch. The government has introduced many schemes for these fishermen, but their workload doesn’t permit them to avail them. But their families are back home to avail it. And those who tried to get the benefits complain of serious lapses. For example, a lot of oil spill victims have not received the compensation yet. Administrative lapses happen everywhere. But once online services are streamlined, the problem will be solved. If I am elected, I will set up a parliament office in North Chennai with staff who will help residents in availing online services. The office will be functioning on Sundays, for the convenience of the working population. A lot of fishermen are trapped in neighbouring countries such as Sri Lanka and Pakistan, when they cross the borders. How is it their fault? Kadalle Kaathu Adikum (There is wind in the sea) and they get trapped in it. Fishermen are not burglars. I will take it as a challenge to bring out a law that doesn’t put fishermen in a spot. Kodungaiyur dumpyard is a simmering problem in the constituency. What are your plans to address that? I will ensure that the dumpyard is relocated to another locality. We could use technology to convert the waste to electricity. The state and central governments encourage such projects by providing adequate funds. You are one among 23 candidates contesting from Chennai North. How do you rate your chances of success? I am part of the mega alliance that has powerful parties such as BJP and AIADMK. Both the parties thrive on development. AIADMK’s girl education policies, laptops for students and welfare schemes for the downtrodden have been impactful. BJP’s Mudra scheme has been quite useful. I am confident of my victory. 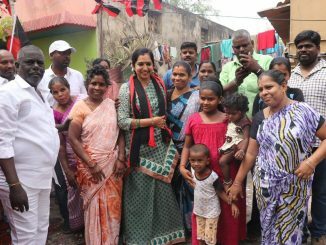 Do you see any visible impact of the developmental schemes introduced by the AIADMK government at the grassroots level? Yes, there is no dearth of schemes. A harbour is being constructed at Thiruvottiyur at an expenditure of Rs 250 crore. I will also ensure the modernisation of the fish market in Kasimedu. How is the party’s chief Vijayakanth doing? What is Kasimedu’s connection to the Vijayanagara Empire? The operational and maintenance cost of the two functional desalination plants is exorbitant, while it is possible to procure the same yield in the form of treated water from lakes, ponds and quarries at one fourth the cost. Why, then, is Chennai looking at a third plant?